When Heart of Thorns was first revealed as a jungle-themed expansion there was considerable pushback. Plenty of people, it turns out, don't like jungles and for good reason: they tend to be dense, confusing and hard to navigate. 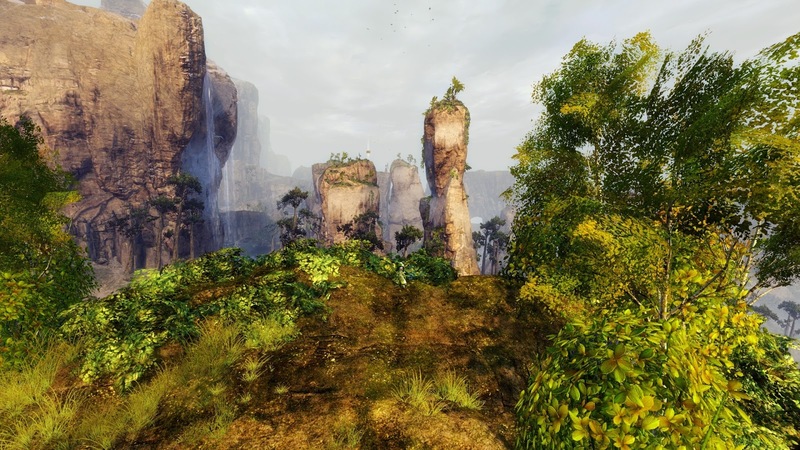 With ArenaNet pushing "verticality" hard there was considerable apprehension over playability. 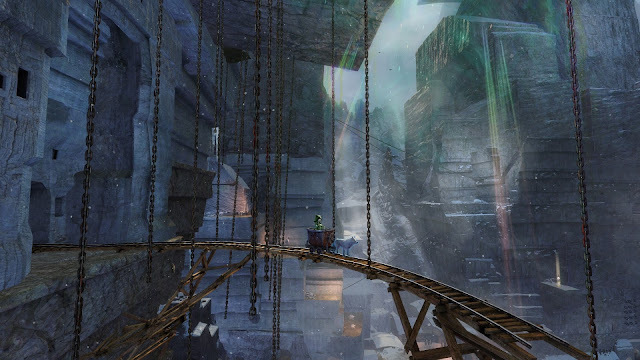 For many players anxiety turned to anger, when the short beta tests confirmed the only new map on offer to be vertiginous, claustrophobic and, worst of all, teeming with mobs far more aggressive and powerful than anything previously seen in Tyria. Re-reading my own words on that first beta weekend it's revealing and surprising to see just how far away from that consensus opinion I was even on first call. Far from the expected "dense jungle filled with hyper-aggressive, overpowered wildlife and featuring a three-dimensionality that requires a mastery-point grind to overcome" what I got was a stroll in the park. Literally. "I found myself wandering about largely unchallenged for the best part of an hour along valleys and branches and rope walkways filled with non-aggressive boars, behemoths and various stripes of civilized frogs. Even the creatures that did attack on sight, mostly bats and some new kind of ambulant mushroom, weren't the 'roided up nu-mobs that throw shapes and take forever to kill. Just normal wildlife. It seemed easy enough, pleasant even, to wander about, take screenshots, admire the view." With only a portion of Verdant Brink to judge by, I did worry about variety. "The big problem with a jungle setting became quickly evident, though: it all looks the same." That concern faded fast when launch brought the freedom to explore the new maps at leisure. I was so taken aback by what I found that I had to shout about it: "IT'S NOT A JUNGLE! It's a FOREST!" 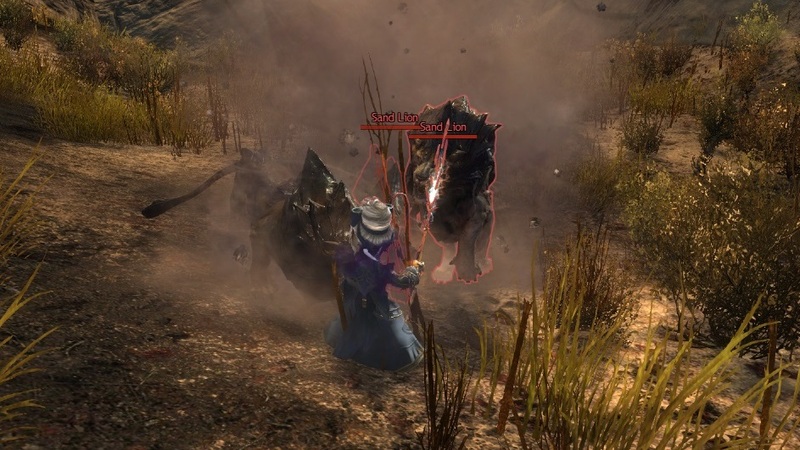 ANet have been widely praised for not making the same mistakes with Path of Fire that they made with Heart of Thorns and so far, broadly at least, that seems fair. In one respect, though, they seem to have dropped into exactly the same hole. The antipathy to deserts seems smaller than that expressed towards jungles but there was still some concern over an entire expansion filled with nothing but sand. I'm fairly sure there would be objections to any thematic environment from tundra to lava so the question has to be why bother? Really, why is it that expansions for MMOs come with such restrictive labels? 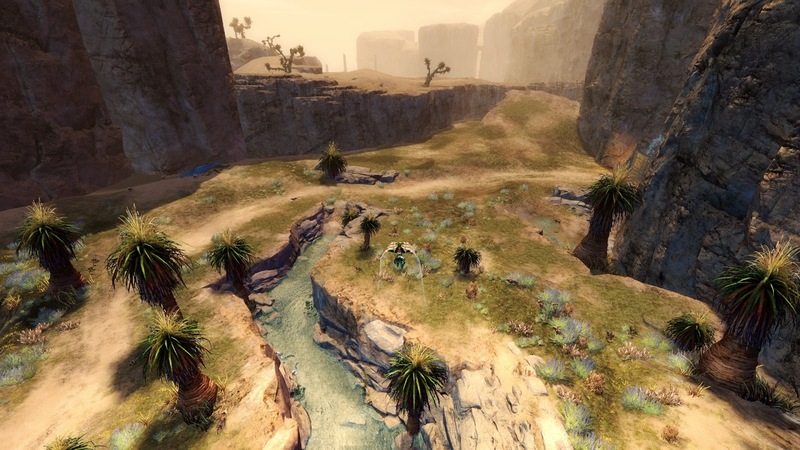 Path of Fire is no more a "desert" expansion than Heart of Thorns was a "jungle" one. It has areas of desert in it, some of them quite extensive, but that's hardly the same thing. 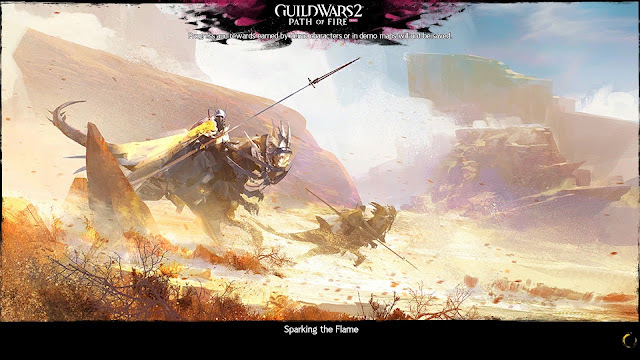 In the long years before it launched I don't recall anyone feeling the need to market GW2 as an "Alpine" themed MMO, even though much of the environment looks like Bavaria or Switzerland. And of course the environment was far more varied than that - from wetlands to jungle, Edwardian dreamscape to Lovecraftian nightmare and back. 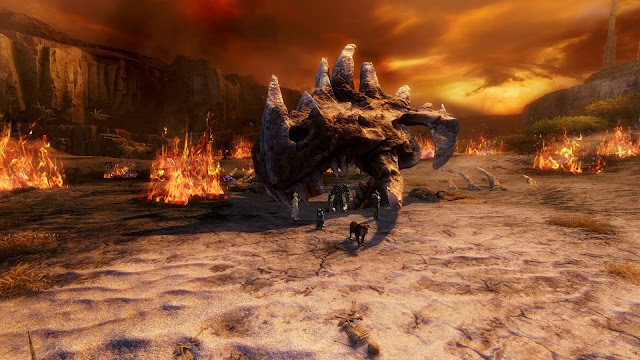 Path of Fire marks what seems to be a concerted attempt to reinstate much of what people supposedly loved about the original game. I may go into what that means for the gameplay at some point but as far as the environment is concerned it means a bit of everything. There's a lot of sand, yes, but a large area of Desert Highlands is snow and ice, where it pushes north into Deldrimor Front. Most of the rest of that map is some kind of Roger Dean fantasy (yes, him again) with lush foliage on surreal stonestacks and deep caves filled with alien vegetation. Further south, the Elon Riverlands are - spoiler alert! - a river delta. Beyond that comes The Devestation, which resembles no environment ever seen on Earth. Even the parts that are apparently supposed to be desert, like Crystal Oasis have more flowers and gardens than Kew. There's a colossal water pumping station for heaven's sake! 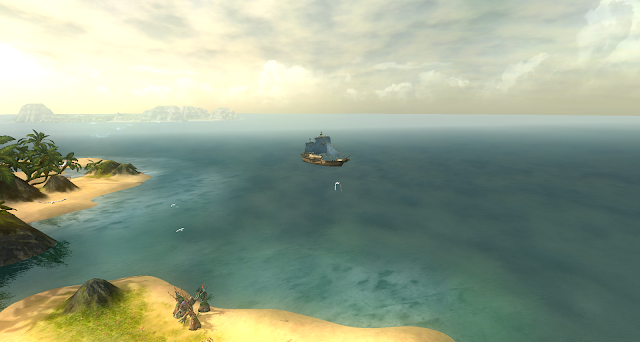 And some sea-front real estate that would have billionaires from across Tyria flying in for the season. I bet Evon Gnashblade has a penthouse marked out already. All this, mind you, in the midst of a refugee crisis caused by an impending God-War. What the place must look like in peacetime beggars the imagination. 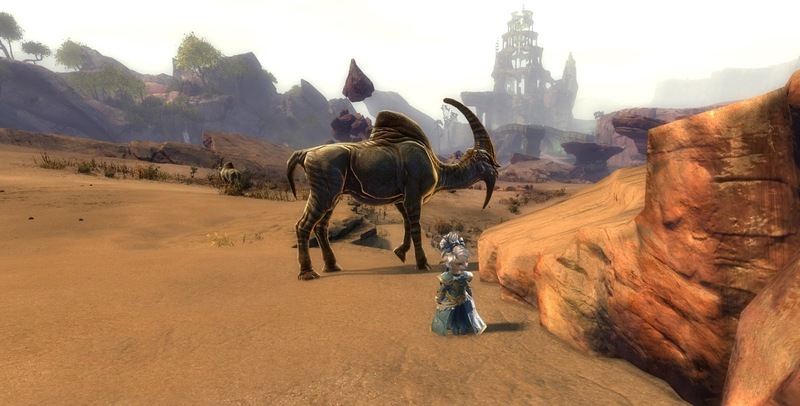 If I was running ANet's marketing department I wouldn't have run with "desert-themed expansion". That's all I'm saying. When the first promotional videos for Path of Fire appeared I commented that some of the shots appeared to have been taken from the Lord Room steps at Air Keep on the Desert Borderland in World vs World. The similarity was striking. It wasn't just the generic desert nature of the two locations or even that the color and texture of the stone and the quality of the light they reflected were all identical. It was all that plus the fact that the very distinctive architecture, seen nowhere else in the game before, matched perfectly. I speculated that the Desert Borderland map, far from having been an outtake from Heart of Thorns, as often suspected, might have been an early escape from the then-unsuspected follow-up to HoT. Now that we have our hands on the real thing that possibility seems even more likely. The Desert Borderland, it was often claimed, must have been intended for HoT because it was clearly designed with gliders in mind. If you cast your mind back to the original design, with the barricades and the absence of stairways and ramps, it now seems likely it was designed for mounts as well. The most convincing evidence so far, however, may be something I ran into tonight while doing my dailies. Since the expansion dropped I've barely set foot in WvW so I was taken completely by surprise to find that the familiar wildlife has been replaced by creatures from the Crystal Desert and points south. Between Air Keep and North East tower I spotted sand lions, shadhavars and rock gazelles. Whether there are sand eels or sharks lurking beneath the dunes I cannot say. Only that I saw none. With this change to the ambient environment I consider the case proven and closed. The Desert Borderlands are part of The Crystal Desert and therefore belong to the Path of Fire. They just arrived a couple of years ahead of schedule. Any good intentions I might have had yesterday about sticking to the storyline or following the plot blew away like dust in the desert wind. Before I lit out for the horizon I did manage to stay on rails for the second chapter, which concluded with the entire city council of Amnoon delegating the decision over who to ally with in the looming God-War to a three-foot tall gremlin in a romper suit. At least on my screen it did. You may cut a more impressive figure. I chose to take my first pass through Path of Fire on my heal-specced druid on the grounds that it takes an army to kill him. That's working as intended but it does have the unfortunate side-effect of adding an entirely unintentional comedy element to the cut scenes as powerful entities threaten or defer to someone who looks like nothing so much as the winner of the "Ugliest Toddler" competition at a down-at-heel holiday camp. Without heading too far into spoiler territory, I do find the underlying political assumptions of the current storyline to be both disturbing and hard to swallow. Whoever's writing this stuff appears to have a roiling contempt for democratic process or accountability. Elected officials are corrupt, incompetent, narcissistic or self-serving by default. Due process is trampled gleefully by strong-willed individuals while those elected or appointed to make decisions race to throw difficult choices into the lap of the Player Character, who they sometimes barely know even by reputation. It's early days but as yet I see little to no evidence of the reported stronger, more believable plot. It's the usual thrown-together farrago. The voice acting has improved, I will say that. It's perhaps not surprising, then, that I got distracted even sooner than I did in Heart of Thorns. 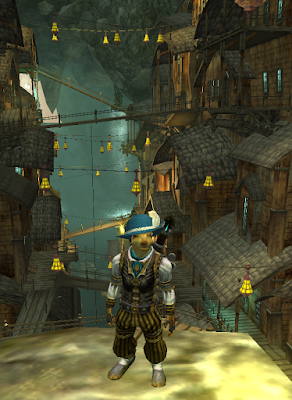 The structure of PoF, inarguably closer to that of the base game than the previous expansion, strongly encourages it. So far I haven't seen any clear sign of the kind of map-wide meta that ANet have employed as standard in every single map since Dry Top. Instead we appear to be much closer to the original conception of a vast world exploding with "events", some of which overlap, some of which interact, some of which stand alone. I make this - most likely inaccurate and uninformed - assessment after around fifteen hours of gameplay. It's going to take two or three times that before I feel ready for a solid "First Impressions" piece. Path of Fire is both packed and sprawling. It's going to take some time getting used to. Without the story as a crutch I came up with something of my own to lean on as I meandered across the maps. 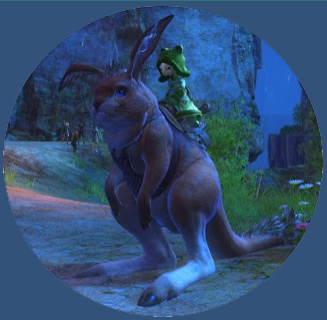 Mounts are a key feature - arguably the key feature - of this second expansion and their very existence, something which would go unremarked in almost any other MMO, has been highly controversial. ANet rarely state outright that they'll "never" do something. The exceptions so far have been more levels and tiers of gear. They certainly didn't say they'd "never" bring mounts to the game but they made it clear they didn't believe mounts were a good fit for Tyria. And now here they are. They are "proper" mounts in MMO terms. They increase your run speed and you can see yourself sitting on them which are the two defining criteria of the feature as its generally understood. intended to add "realism" but what it mainly adds is motion sickness. It doesn't have much of an effect on me but Mrs Bhagpuss, like many players, albeit a minority, couldn't use the first Raptor mount for more than a minute or two before she had to stop playing altogether. Partly because of that and partly out of general curiosity I decided to get all the mounts and see if any of them were less wobbly than the others. There is some gating on acquiring them but nothing that can't easily be vaulted. There are four main types - Raptor, Springer, Skimmer and Jackal. You get one in each of the first four maps. You have to find the vendor - who, it turns out, is always a "Heart" NPC. You also need to meet certain mastery requirements before the vendors will sell to you. For reasons of cussedness and immersion I decided to get all of them without looking anything up out of game. Then, largely because I'd already decided I didn't much like the way mounts handled, I thought I'd do it all without using the mounts themselves. It turns out that, despite what the NPCs tell you, you can get by perfectly well for the most part without using any kind of mount at all. There are a lot of places where you are clearly meant to use a Springer or a Raptor but where gliding will do just as well and if you have the kind of ferocious regenerative and healing capacity of my druid, you can outheal most of the poison damage riding a Skimmer is supposed to negate. I had little difficulty getting any of the mounts. I ran blithely across Crystal Oasis into Desert Highlands for the Springer then backtracked to Elon Riverlands for the Skimmer. 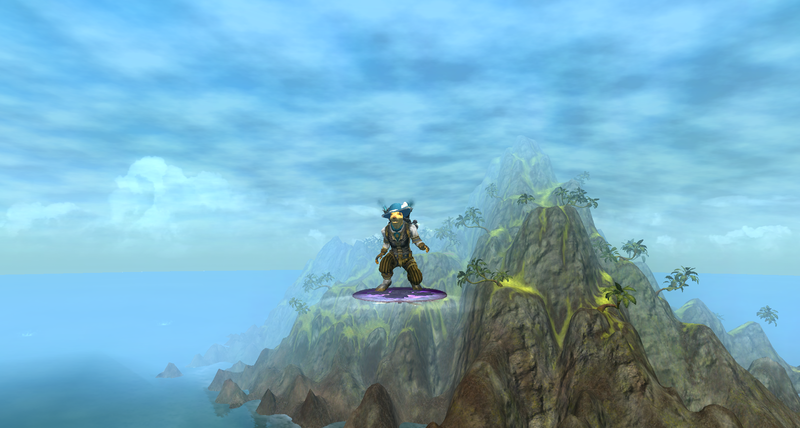 To find them I just roamed around lifting the fog of war on my map until the Heart icons showed then went to each as it appeared to see if it had the mount. I did also speak to a couple of "Scout" NPCs for directions, which is probably the first time I've done that since a week after launch. All three of those maps were a total delight to explore - visually stunning, vast, complex and fascinating. I opened the few waypoints on each then carried to Desolation. Desolation is aptly named. It makes Orr look like an ornamental garden. I would not say it was a joy to explore but it wasn't that hard either. Just wearing on the eyes. 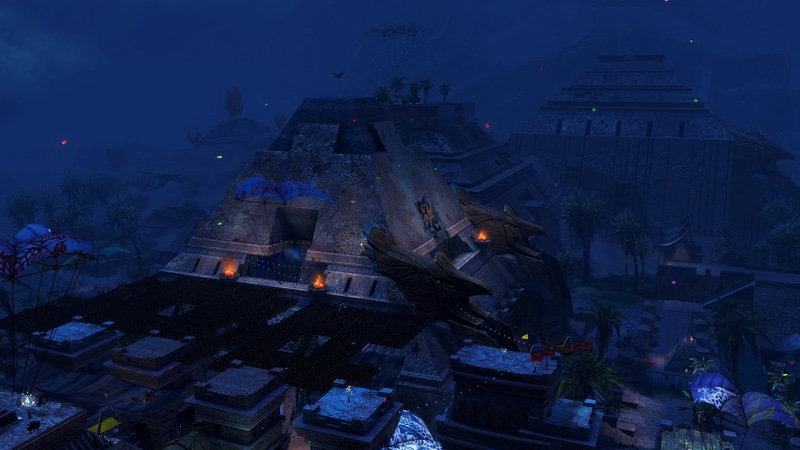 The Jackal mount vendor is on a fragment of a ruined palace floating in the sky because of course he is. The scout nearby tells you quite specifically that you won't be able to reach him without a trained Skimmer or Springer. He's wrong. There's a tower not too far away that has an external spiral staircase. It's surrounded by poisonous gas and flame traps spew fire at you all the way up the stairs. As if that wasn't enough the force of the jets can knock you off the tower and any wildlife you agro on the way in pursues you all the way to the top. It took me a while. I got knocked off twice. The first time I was high enough up for the fall to be fatal. I had to use a revive orb for that one - well, I didn't have to but it saved me a ten-minute run back to the tower. In the end I made it to the top with a veteran abomination and a couple of hangers-on in hot pursuit. They'd finished off the Stone Spirit - something else I haven't used since shortly after launch - that I'd planted at the bottom of the staircase to act as a speed-bump but it lasted long enough to give me a moment to orient myself before launching myself into the air. It's a long glide but I made it with a second or two to spare. From the platform below the ruined palace its just a disorienting jog upwards against what seems to be an endless river of sludge to the top. I started off by trying to climb up the guardrail to avoid the flow but it turns out the gas or liquid or whatever it is isn't toxic and doesn't impede your progress so I just waded through it with my head occasionally disappearing below the surface. Safe at the summit I spoke to the NPC who trains the jackals. He appears to have been on a recent over-zealous health and safety training course because he point blank refuses to let you try a Jackal without providing evidence you can already handle either a Springer or a Skimmer to its fullest capacity. There's a Mastery threshold in other words. Since I'd been picking up Mastery points all the way down the maps I did in fact have the necessary points banked. I could have spent them and picked up my Jackal but his attitude annoyed me so I decided to wait a while. I was satisfied with Proof of Concept. You can indeed get all four of the mounts without having to use any of the mounts. There is a lot of content that does require you to use a mount but as far as I can see it's only in the way you had to use the various "Aspects" in Dry Top. The Springer is for going up vertical surfaces. The Raptor is for going across gaps. The Skimmer is Poison protection. The Jackal is a key to use teleport gates. They may look like mounts but they are basically the same movement gimmicks we've been using since the Bazaar of the Four Winds. There is a fifth mount that looks a lot more interesting: the Griffon. 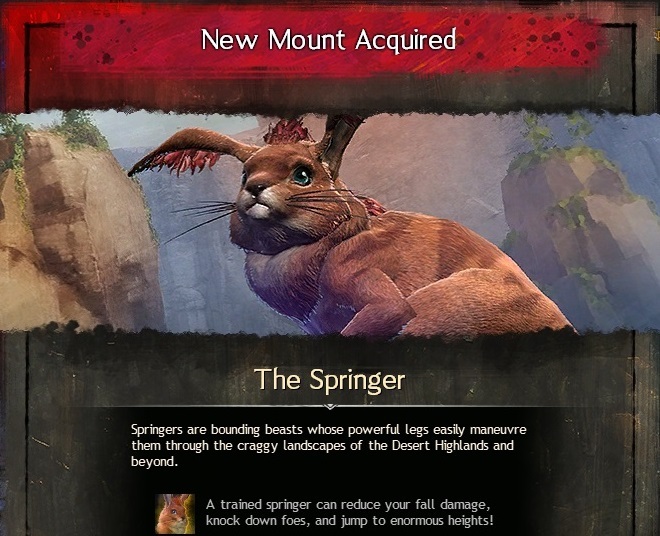 This is a "hidden" mount (i.e. unpublicized before launch) that's acquired by means of a collection. 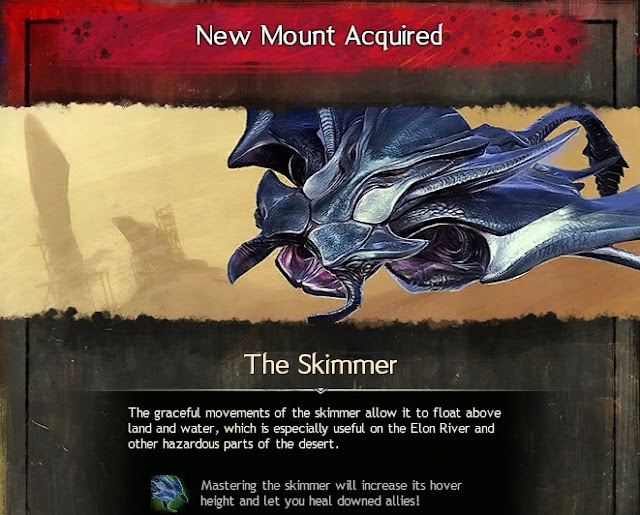 I haven't read up on it yet but I have a feeling it might be the only mount I'll end up using regularly, even if all it is really turns out to be is a fancy glider skin. Especially if that. Gliding is the best form of movement GW2 has. I see nothing so far in this expansion to prove otherwise. Coming back to gaming after a break is always an odd sensation. All the more so when your game of choice chose to implement a massive expansion while you were away. Given that Path of Fire had been live for nearly five days by the time we got back from Italy there seemed to be very, very few "First Impressions" posts among the hundreds of unread entries in my Feedly feed. Of the few that did crop up, I was able to read almost none because of their inevitable, spoilerific nature. In fact, the only ones I read all the way through were Kaozz's chatty take at ECTmmo and Jeromai's short overview and photo-essay. Even when thoughtful bloggers like Aywren cautiously opened with an assurance that there were "No major story spoilers" I found there was far too much detail that I didn't want to know before I discovered it for myself. It made me realize just how very difficult it is to cover this sort of thing effectively and responsibly. 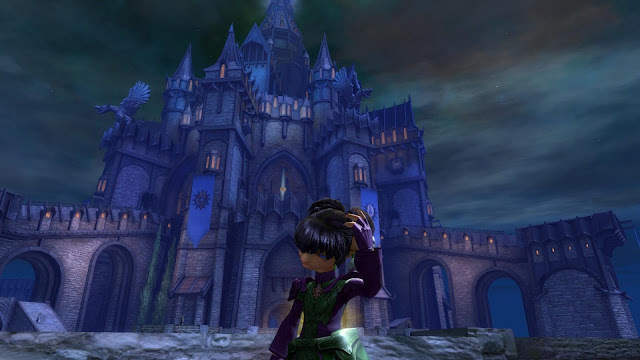 Once I was settled back at home, all caught up on missed news stories and blog posts, patched up and ready to go, it was still a while before I was ready to face Elona. There's an odd phenomenon, which occurs every time I come back from a complete break from playing MMOs, something that only happens when I go away on holiday. I don't believe I've discussed it here before though I always mean to, every time I experience it. Although I've read many posts by other people on the subject of coming back to MMOs after a complete break I've never heard anyone else mention the specific, peculiar sensory effect it has on me. The main reason I've not gone into it in any depth before is that it's hard to describe. After a week or so of not playing any video games at all - indeed barely looking at a screen - the first hour or so of playing even the most familiar MMO is a weirdly intense experience. Not emotionally intense, although there is a huge boost to the illusive sense of immersion. I'm talking about a vastly heightened visually intensity. Colors appear much brighter, richer. They pop like neon. Perspective becomes almost vertiginous. The screen seems almost to expand to envelop and enclose me, encompassing not just my immediate field of view but most of my peripheral vision. It's like looking out at the horizon not into a screen. Character animations, which I would normally scarcely notice, strike me like the gestures and body language of movie actors. Spell effects dazzle like a spectacular display of fireworks. Everything looks real. No, more than that - hyper-real. It's overwhelming. This happens every single time I return from a complete break of a week or so. It's as though the part of my brain that has learned to discount all this information has been reset to default. I can very clearly remember the seminal experience I had back in 1999, when my earliest real EverQuest character (a human warrior with no night vision) ventured into East Commonlands for the first time and saw the visual effects of a battle through the darkness in the distance. It was quite literally awe-inspiring. Coming back after a break gives me a frisson of that. It also makes me wonder just how overwhelming a modern MMO - or any video game that recreates three-dimensional space - must be for a genuine first-timer. If EQ had that effect with last century's graphics, what must it feel like coming fresh and unprepared to today's? Of course, few people will come fresh or unprepared. We live in a world of screens now in a way few did back then. Still, my anecdotal experience suggests a degree of habituation can be stripped away by time and rest. When I read or hear the accounts of journalists or even gamers as they experience Virtual Reality for the first time I get the sense that they are feeling what I felt all those years ago - only orders of magnitude more so. It sounds like magic happening. How long that lasts I'm not so sure. There seem to be very few reports from anyone who carries on to play VR games regularly. I'm not sure I've read any at all. I'd bet that within a few days - maybe even a few hours - the remarkably adaptable human brain acts as a dampener on all that gosh-wow intensity and the magic goes away. Maybe that, as much as the lack of the killer app, is why VR is taking so much longer than expected to gain traction. My own re-revelation yesterday lasted about an hour or so, as it usually does. When things seemed back to normal I opened my in-game mail, took the Asura Gate from Citadel to Lion's Arch and spoke to Ellen Kiel. 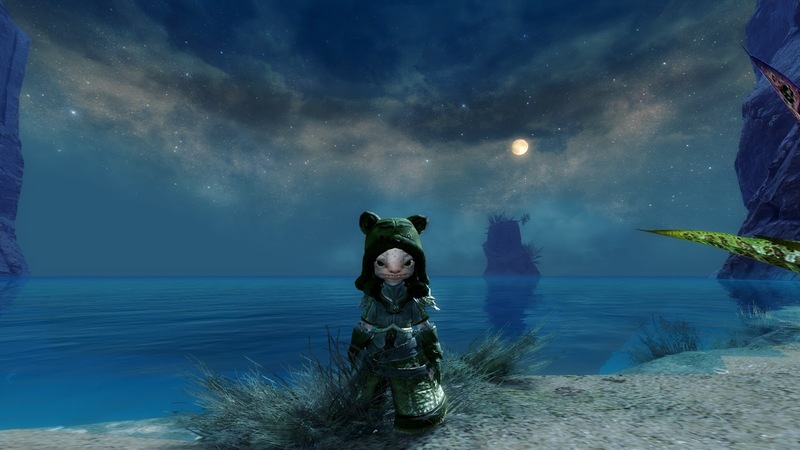 Heartless Gamer resurfaced for only the third time in two years yesterday with a self-recursive post about GW2. 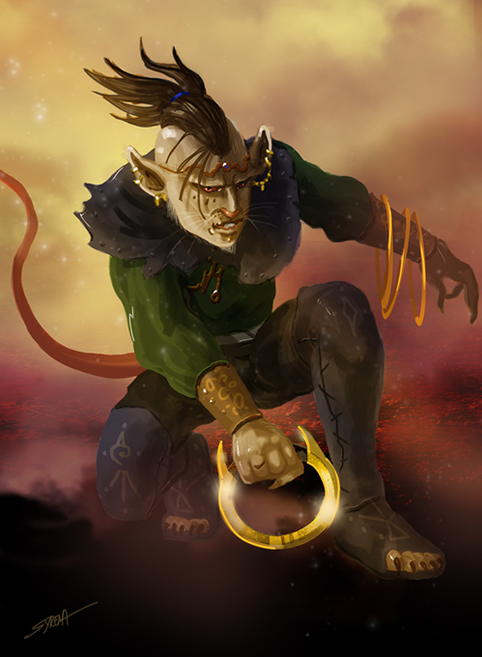 Writing as though it had been no more than a day or two since last he blogged, Heartless confirmed he was likely to buy the upcoming Path of Fire expansion. "Why you might wonder?" he asked, as though it was a question we'd been itching to ask him all these long, quiet months. 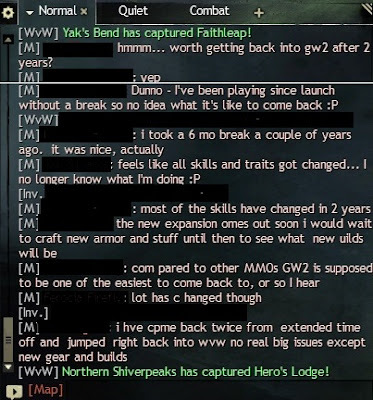 Answering himself, he said: "I can come back to GW2 whenever I want and pick up where I left off." Well, so you can. As Heartless observes, GW2 has no subscription. Once you have bought the box the game is yours to play as long as Anet keep a server up. Over the years, I've heard many players of MMOs cite the cost of a subscription as a reason either to stop playing or not to start (or start again). Avoiding that internal discussion clearly gives GW2 a significant advantage, although it's perhaps one that's been eroded by the increasingly popular option of maintaining a sub using an in-game currency. There are other barriers than the mere financial to coming back to an MMO after a long lay-off. GW2 neatly sidesteps some of those too, as Heartless summarizes: "Sure I may have to invest some time in reading up on the most recent meta builds or grind out some mastery skill, but for the most part GW2 is pick up and go-go-go for any returning player.". This is broadly true. By eschewing any increase in the level cap, something that it has been long confirmed will be the case as long as the game survives, GW2 avoids some of the worst of the end-game gaps suffered by many MMOs. 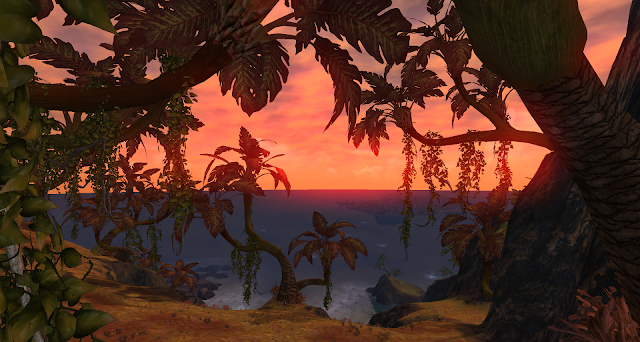 Whereas WoW and EQ2, to name just a couple, where I have recent experience, need to run extensive and well-publicized catch-up events prior to an expansion, GW2 just needs to let former players know there's new content available. 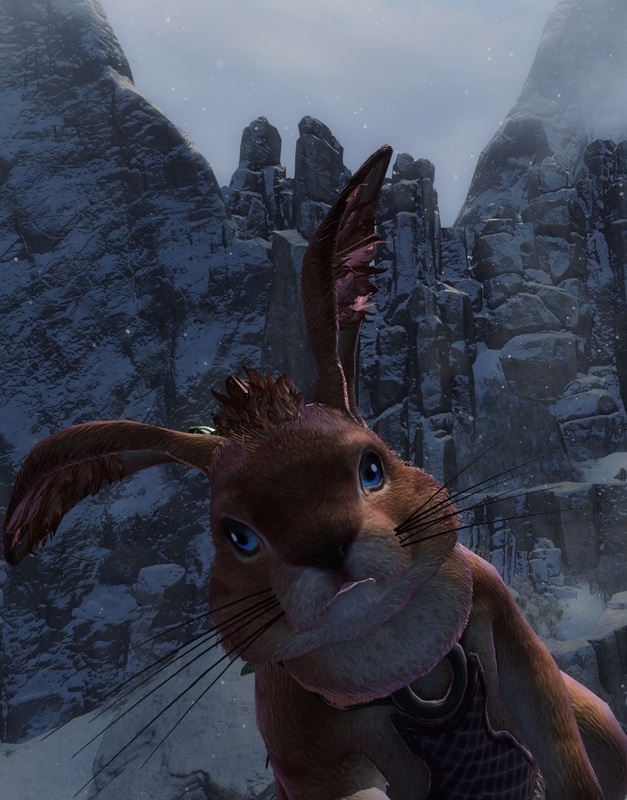 The free Level 80 boost that comes with PoF is a cherry; most returnees will already be sitting on a character perfectly capable of jumping into the latest open-world maps and doing just fine. Even if they didn't, leveling a character to 80 is trivial in GW2 compared to just about any MMO you care to name. You can craft your way from character creation to end game in not much more than an hour if you have the mats or the money and each anniversary brings a scroll that jumps you 20, 30, 40, 50 levels, while Tomes of Knowledge that give an instant level on use drop like rain. 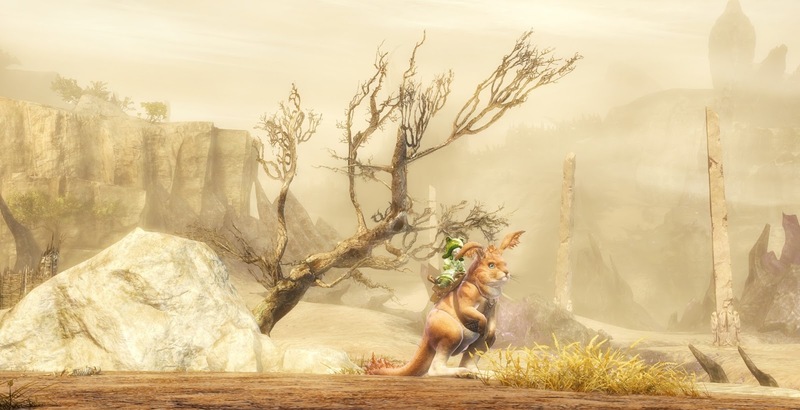 There are other reasons why GW2 is particularly easy to pick back up. Still, I'm not sure I agree with Heartless, when he says it "reminds me of days gone by when games were games and not just a series of money-sucking crates, DLCs, keys, etc." days before cash shops sold level boosts and XP potions, when expansions remorselessly added another ten levels each time regardless of whether most people were done with the last lot, the only way you could come by an instant max-level character was an astonishingly expensive, ban-risking transaction on EBay. It seems like another life but max-level characters in EverQuest really did change hands on EBay for many hundreds of dollars. Other games too. In those days anyone not pulling their weight in an end-game group might be accused of buying their character off EBay. Whether that was better than just being called "bad" and group-kicked, as would happen now, is a moot point, I guess. In the run-up to the second expansion there's been a very noticeable influx of "resting" players. Accounts have been lighting up on my friends list that haven't glowed in months or years and every day on the battlefield reveals a flurry of names from the past. Many of those players will be confused for a while. GW2 is an MMO. It changes, constantly. Compared to the older model, though, its innate design ameliorates the effect. Anyone who hasn't played for a while will need to re-orient themselves but they should be able to do so while stumbling through the same, unfamiliar new content as those of us who never went away. Or so you'd think. Heart of Thorns didn't quite work out that way. Whether Path of Fire will do a better job of re-integrating the curious we will find out soon enough. I'll be sorry to miss the feeding frenzy, all the same. Nothing like that Day One rush. Wilhelm has a post up in which he asks what better PvE would look like in New Eden. He suggests that the most time/risk/reward efficient of the current options is so "deadly dull" that he "cannot bring [him]self to run more than one or two on any given day". I can't speak to EVE but in my lengthy experience of fantasy MMOs I can attest that PvE players will put up with almost any degree of boredom and repetition if it means they increment a counter faster. Forget the more exciting, interesting or challenging alternatives. Efficiency's what matters. Oh, of course they will complain, bitterly and loudly, that there's no fun in it, no challenge. They'll say that anyone who does do it is lame. None of that will stop them doing it themselves, even though they will threaten to quit because of it. This content they feel they have to do for reasons of optimum efficiency may be mind-numbingly tedious but it gets the job done and that's what counts. Then, when the developers belatedly appreciate just how much damage the content they foolishly, thoughtlessly, recklessly or naively created is doing to the game, and decide to nerf it, those same players will threaten to quit again because they aren't allowed to do it any more. It appears I have never "progressed" any of my Shrouds. I wonder why? Monster Missions were added to EQ with Depths of Darkhollow. They were a headline feature of the game's tenth expansion. Players used a "shroud" to change into a creature or race not normally playable. Doing so, they acquired a very limited set of abilities, completely different from anything related to the character's class. Once transformed they needed to go to a mission zone, often located somewhere inconvenient and awkward. There they would have to find a group and, using those few, very specific abilities and only those, complete a mission. The missions varied but players soon worked out which were the easy ones and which gave the best rewards. Since Monster Missions offered the best xp/aaxp and also some handy item rewards, soon no-one was doing anything else. It became hard, then impossible to find a group willing to play as themselves. Some people absolutely loved it. Many did not. Eventually SOE nerfed and then re-nerfed the most unbalanced of the missions. People stopped doing them and returned to playing their characters as they were originally designed to be played. Too late for Mrs Bhagpuss and me. 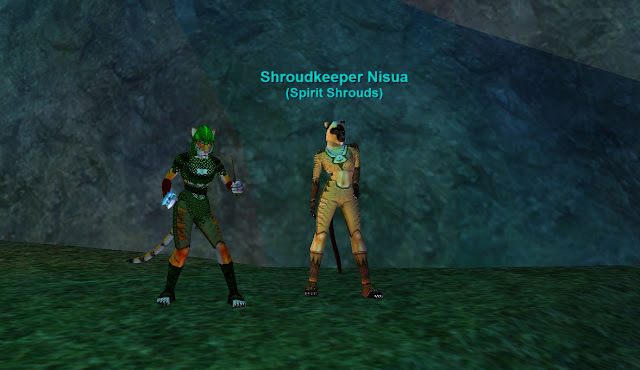 We were already so fed up with the dearth of regular groups we "quit" EverQuest and went back to EQ2 - which we'd left to come back to EQ only a few months before. Not the last time we pulled that switch, either. Hall of Fame? Hall of Shame, more like! EQ2's version of Monster Missions turned out to be the Player-Made "Dungeons" that were introduced with the Age of Discovery expansion in 2011. I really liked the Dungeon Maker. I made several dungeons with it, ran them with my characters for fun and enjoyed seeing other people run them. There was a ranking system and some very amusing and entertaining dungeons were made by the highly creative EQ2 community. And then there was the other kind. The dungeons gave no loot per se, only a special currency, but the mobs you killed inside them did give xp. Very good xp. At least, it turned out it was very good if the dungeon-maker stuffed a few rooms with high-value, weak mobs, all piled up to be AE'd. The most efficient mob slaughterhouses quickly rose to the top of the Dungeon Creator rankings and for the longest time almost all you could hear in /lfg was people forming groups to speed-run them. They had no story, no dialog, no script, no entertainment value of any kind. They were the definition of repetitive tedium but they were efficient so people did them. Over and over and over again. The real Depths of Darkhollow. Sad thing is, it was one of EQ's best expansions - apart from the Monster Missions. The developers tweaked them and tried to make them less mindless but players kept doing them. In the end (and it took three years) SOE went for the nuclear option and removed xp from player-made dungeons altogether. After which, no-one ever ran one again. I could come up with plenty more anecdotes like that from plenty more MMOs. Players are their own worst enemies when it comes to entertaining themselves. They would literally click on a button in an empty room for hour after hour if that gave the most xp or the most tokens. Complaining about it in general chat all the while. You wouldn't. I wouldn't. They would. I know they would. I've seen them doing it. Often. And I've seen the developers stopping them, eventually, every time, although rarely fast enough. As Wilhelm observes, people claim they want developers "to make PvE more challenging, dynamic, exciting" but what they actually choose to do for themselves is to make it predictable, consistent and rewarding. I didn't grind Monster Missions or Dungeon Maker Dungeons but I've done other things just as dumb. I lied when I said I wouldn't. Everyone has his price. This morning I found myself flicking through MassivelyOP's list of MMOs in development. My attention was initially drawn by this unfortunate and unpleasant headline. It was the first thing I saw in my Feedly feed after sitting down at the PC fresh from a lively breakfast discussion chez Bhagpuss concerning the normalization of scatology in entertainment intended for the under-10s. I can't say I've ever felt that what's been holding the MMO genre back all these years was the shocking lack of attention paid by developers and game designers to the excretory functions of player characters, but what do I know? To me it's just one more reason not to pay any attention to Star Citizen but then I was already paying about as little attention as I can spare. I'm not sure there's much more Chris Roberts can do to make the "game" any less appealing to me, although he and his team certainly do keep trying. It's been a good while since I looked at what used to be Massively's forthcoming attractions list. Indeed, Massively was probably still called Massively when I followed it regularly. The whole trend towards buy-in Early Access, much though I found it exciting when it began and even though I still, on the whole, approve of it, had the unexpected and unintended effect of weaning me away from participating in alphas and betas of games that interest me. Nowadays I mostly prefer to follow them at a distance. I'll Kickstart the occasional likely prospect but mostly as a kind of quasi-pre-order or with the specific intention of getting a few blog posts out of the initial flurry of interest when the game hits beta. My days of actually playing MMOs in beta (let alone alpha) as though they were already Live are, I think, over. There could be exceptions and if there were they would almost certainly be those MMOs that seek to revive and revitalize the glory days of EverQuest. I may be a big exponent of the fun, accessibility and sheer entertainment value packed into modern MMOs but I do hanker after some of what was lost along the way. 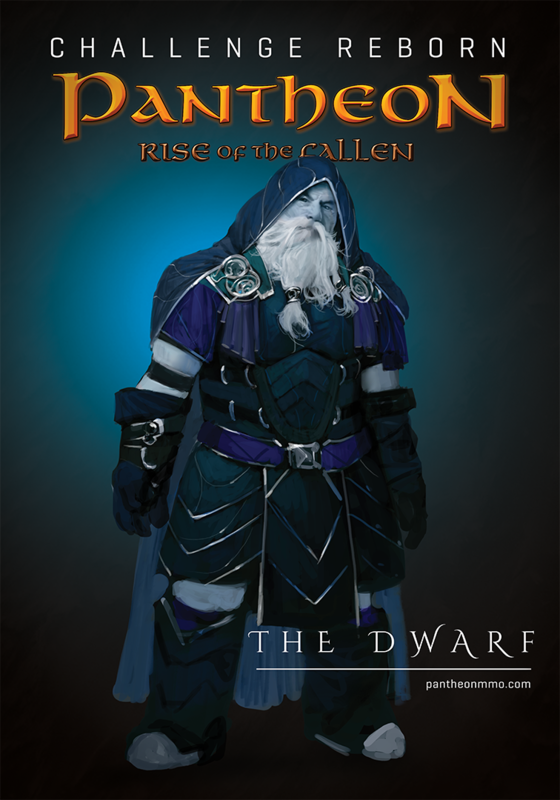 Plucky Pantheon: Rise of the Fallen has been the standard-bearer for updated old-school for a while now. By dint of sheer persistence and some convincing evidence of actual content, finished work and solid gameplay, Brad McQuaid's small and stubborn team have shifted perceptions on this ultra-niche title from derisive disbelief through grudging admiration to cautious optimism. 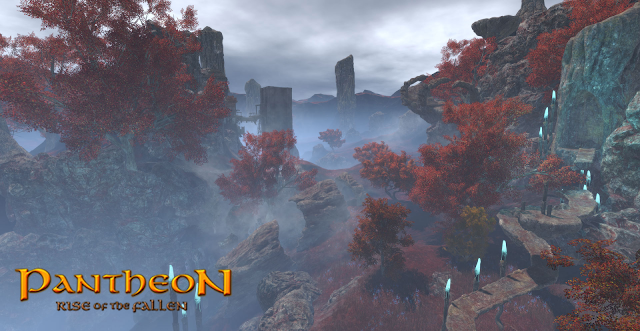 Pantheon is by no means the only potential spiritual successor to EverQuest to have raised a flag these past few years but it's the only one I'm aware of that appears to have made significant progress. As I was glancing down M:OP's extraordinarily long list, clicking on the many names I had forgotten about or never even heard of, I came upon Sacrament. It's a new one on me. It had a quite spectacular Kickstarter fail in 2016, when it managed to attract just over $3000 in pledges against a goal of $250k. The elevator pitch was absolutely to the point: "An evolution of EverQuest meets today’s game engines and systems" and I might have backed it on that alone - had I ever heard of it. Like many would-be Kickstarter-funded projects, evidence of extreme lack of interest from the games-playing public did little to dissuade the creators that their idea still had merit. Funding moved to Patreon, where the goal is a rather more modest $850 a month. At time of writing that pitch has attracted five people to donate $117, which seems unlikely to go very far towards the salary bill for the 25 "experienced" staff listed in the breakdown of responsibilities. I wouldn't be mentioning this at all if it wasn't for the extraordinarily detailed information laid out on the solid and encouragingly retro website for the game itself. 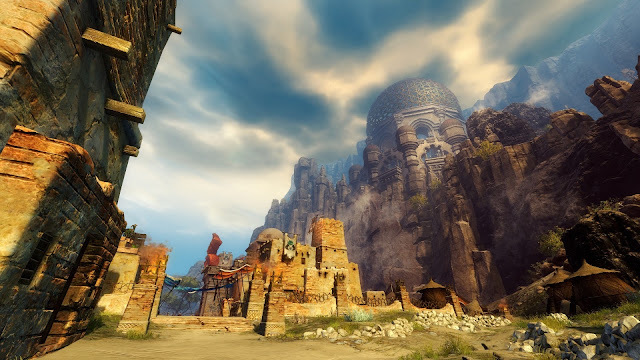 Whereas most as-yet unreleased MMOs suffer from a surfeit of vagueness, hand-waving and wishful-thinking, Ferocity Unbound's strength seems to be in writing detailed, coherent, convincing design documents. I'm not sure I've ever read so much hard information about a game that doesn't exist. It's not merely the traditional wishlist of features plucked out of thin air that we've seen in so many MMO pitches from Horizons onwards. There are reasons for the more unusual design choices and explanations for what's in and what's out. A surprising number even make sense! Sadly, I suspect Sacrement's footnote in the history of MMORPGs will be a link to the website at the Internet Archive. If that. The ambition here seems monumentally out of sync with both the market interest and the available funding. I really hope I'm wrong. If they could pull this off it would be one heck of an MMO. I'm not saying I'd go so far as to throw a few dollars into the Patreon hat. That would be crazy. If they ever get a playable build running, though, I would absolutely play it. I'd even buy an alpha pack. Seeing Star Citizen and Sacrament together on the same "in development" list, it's more than a little depressing to compare the relative attention and concomitant funding enjoyed (or not) by the two, especially set against my own preference as to which might actually get made. Still, I guess Sacrament could make it to the finishing line. Stranger things have happened. I just can't seem to think of any right now. Lest we forget, Brad McQuaid and his trusty team are still plugging away on Pantheon: Rise of the Fallen. While the would-be true sequel to EverQuest always figures somewhere in the background of my thoughts when it comes to MMOs that might prove worth an emotional investment, I haven't been lurking on the official forums like Keen, so I tend to be vague on details of the game's current status, let alone the specifics of its avowedly niche design. I did know something about the "Perception" system. I remember some discussion of the mechanics in one of Visionary Realms' lengthy "Let's Play" videos but until I read Massively OP's short piece on it this morning I'd never really thought about the implications. All I'd really taken in was that quests would pop up automagically according to your character's ability to perceive them, which seemed to amount to nothing much more than a stat. That would be an interesting design choice in itself. The idea that you would need to raise a stat in order to receive quests is arguably a more elegant version of the longstanding MMO convention that quest access can be tied to faction or reputation. Instead of working to get the questgiver to like you more you'd work to make yourself more capable of seeing what the questgiver wanted. 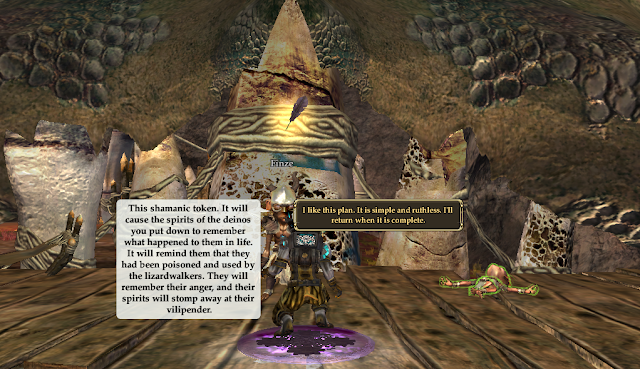 Factors such as a character’s insight and investigation skills, class, race, and faction standing all influence whether or not a particular quest will unlock. Yet if you’re part of a group and just one member can get that quest, he or she can share it to everyone else. Pantheon has always been promoted as a group-centric game. 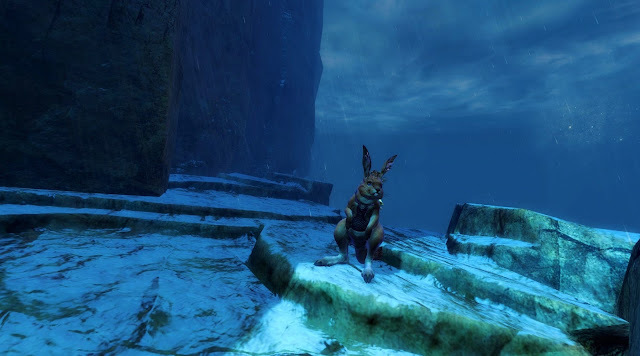 Brad McQuaid has made it clear that there will be solo content and that players can solo and enjoy themselves, but as in EverQuest, those who chose the solo route will be well aware that they're taking a harder road, one which is unlikely to give them the same rewards as their more social counterparts. The thing about EQ at its height - one of the things - was that it wasn't just a group-oriented game, it was a social game. Even solo players tended to rely on others, even if they didn't actually want play with them. Before you set out to do lonely battle in some far-flung corner of Norrath, depending on your class, you would want to prepare by meeting a Cleric, an Enchanter and maybe a Shaman with the intention of buying buffs. Buffs in EQ lasted hours not minutes and they changed hands for cash. 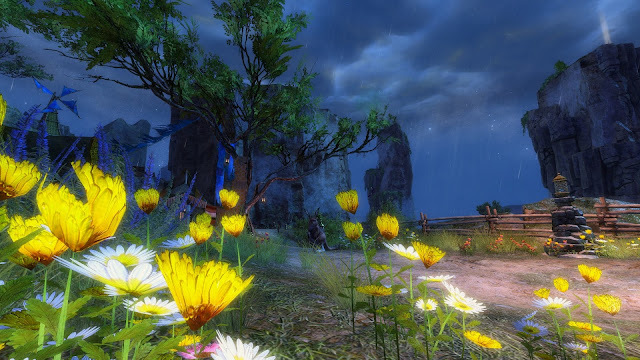 Anywhere players congregated in safety prior to setting out to earn experience you'd hear Clerics selling their hit point buffs, chanters hawking clarity and KEI, shamans offering a whole range of stat boosts. Open chat channels would ring with their calls, often augmented by Beastlords, Paladins, Druids and even Rangers - anyone who had a buff that lasted an hour or two that someone might find useful. Suitably buffed, possibly with player-made potions stuffed in their bags, these would-be rugged individualists would then often call for a taxi. Druids and Wizards, able to teleport in seconds to zones that might take literally 30 minutes on foot, were much in demand. So much so that those who didn't relish an evening running passengers to and from North Karana or Dawnshroud Peaks were forced to set their identity to "Anonymous". In these days of concerns over microtransactions, F2P business models and Pay-to-Win it's perhaps been forgotten that in the Pre-WoW era almost everything was for sale. Indeed, EQ's in-game economy relied almost as much on the sale of services as it did on the auctioning of items (something that was itself far less subject to restrictions like Bind on Equip or No Trade back then). 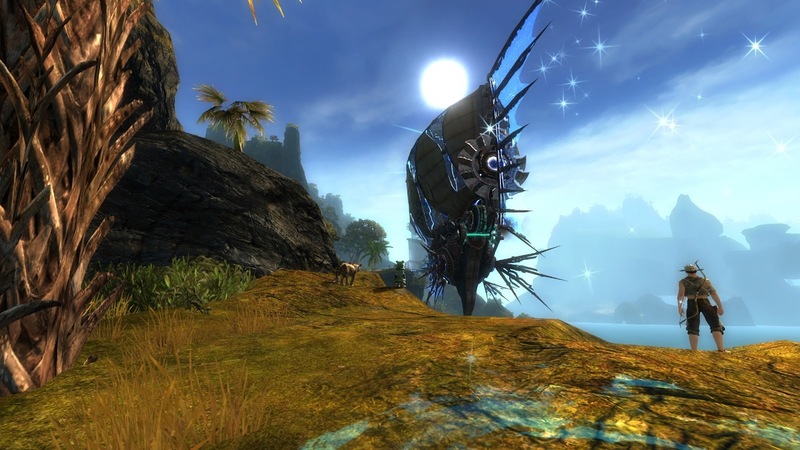 Even today many MMOs have a thriving, legal secondary economy in which players sell access to supposedly restricted items or areas to other players. 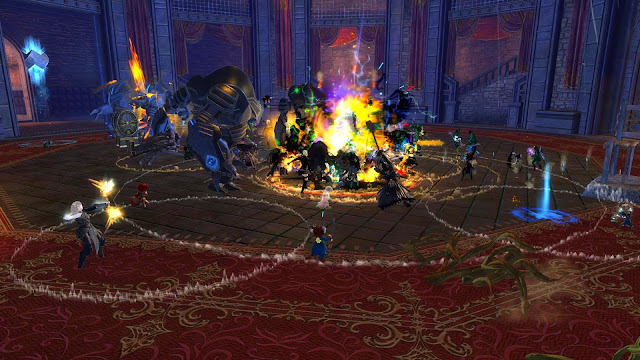 EQ2, for example has developed a whole culture known as "SLR". The acronym stands for "Selling Loot Rights": those willing to pay are invited to join instances where a group or raid boss has been downed so that they can loot the No Trade drops, which can't be sold directly. 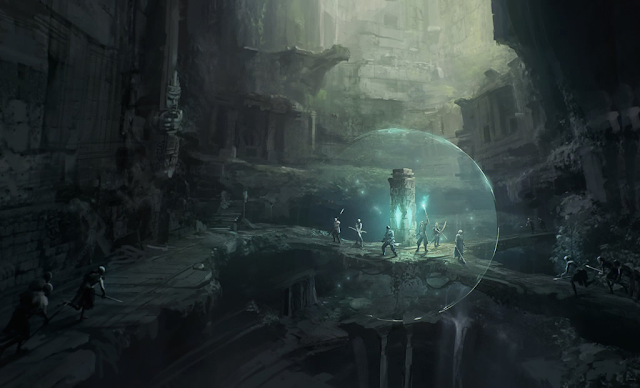 Pantheon's perception-gated quests will magically become available to the under-qualified by the simple means of joining a group. This will, without any doubt whatsoever, lead both to groups selling invites to individuals for quest access and to qualified individuals offering their services to groups for a fee. This, I would contend, is almost certainly the intention behind the design. One of them, at least. For roleplayers who exhibit self-discipline then, yes, the Perception system has considerable potential to enhance immersion and feed lore. For regular players, however, it will become nothing more than a business opportunity or an operating expense. I think that's fine. 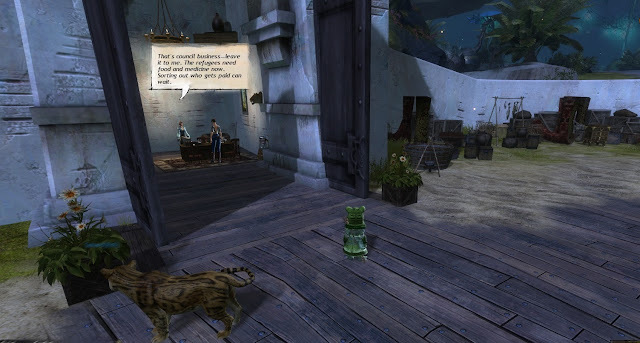 I liked EQ's idea of an in-game economy as much as most and more than many. The manifold ways that players both could and did interact commercially contributed significantly to the sense of a Virtual World. Perhaps counter-intuitvely, it made the whole place feel more magical rather than less. The more I pay attention to the details of Pantheon, the more I like the sound of it. No-one has ever been entirely clear what exactly it is that Brad McQuaid does but I am increasingly of the opinion that, whatever it is, other MMOs could do with more of it. 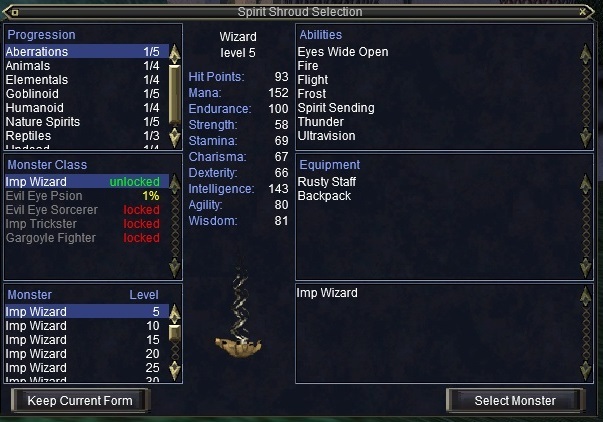 Keen has a short post up today focusing on EverQuest's Enchanter class. It neatly sums up the difference between modern MMOs and those of a decade and more ago. It's tempting to say "before World of Warcraft" but, although I didn't experience it for myself, what I have heard suggests even Vanilla WoW didn't completely jettison everything that came before. The real change came later, when WoW became a true mass market phenomenon. At the time disdainful genre veterans liked to call it "dumbing down" but perhaps it would be fairer to describe it as one form of complexity replacing another. 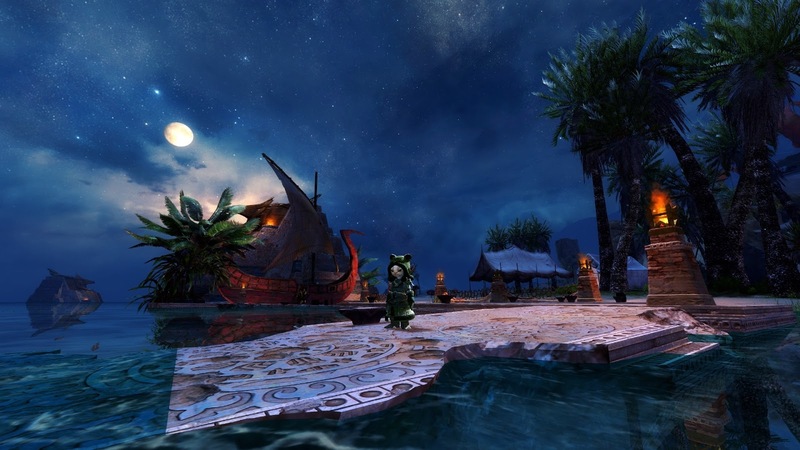 Modern MMOs aren't simple; not by any means. The older ones are mired with baffling legacy mechanics and suffocated by layers of mis-matched content that make them some of the least-accessible entertainment imaginable for a newcomer. Even brand new MMOs are famously confusing and off-putting for anyone who hasn't played something similar. No, it's not that the genre has been simplified per se. It's more that the focus has changed. Back when I began, developers seemed to expect players to entertain themselves a lot more than they do now. These days devs apparently feel they need to do most of the heavy lifting themselves. In the early years there was very significantly less narrative, almost no voice acting and quests were considerably less overwritten. Dynamic events were much rarer, although it's true GMs were more likely to appear unexpectedly and create content on the fly. There were few automated processes for bringing players together. If you wanted to meet up you had to talk to people, often at length, sometimes in several simultaneous conversations, almost always in text. You had to arrange a meeting point and then travel overland to get there. A good portion of a session could consist of finding people to group with and getting them all to the same place alive before you could even think about starting to kill stuff. Yet, for all the talk of Holy Trinities, the process of forming a group was far more flexible than it is today. Yes, you almost always needed someone to hold aggro and someone to heal (although kite groups could dispense with both) but the candidates for those roles were thick on the ground. There was a huge range of options and yet sometimes it seemed almost impossible to find exactly what you wanted. Crowd control, the role which Keen assigns in his post to the Enchanter, was really everyone's responsibility, as was DPS. Enchanters liked to think of themselves as Crowd Control royalty (actually Enchanters all thought of themselves as Royalty, period, at least in my experience) but Bards could do as well if not better. I knew a Necro or two who could give an Enchanter a run for her money when it came to keeping a killing zone tidy, come to that. And Crowd Control was just one of the many components of a functioning group. I've gone on about the multiplicity of roles required in EverQuest, Dark Age of Camelot and other MMOs of the period too often already. Suffice it to say that there were a lot of jobs that needed doing and a wide choice of classes available to do most of them. That's the kind of complexity that developers have, by and large, chosen to remove. At some point they seemed to discover a previously dormant desire for both clarity and convenience. After that, anything that required players to stop killing and start talking to each other was seen as a problem. Automated Group Finders began to handle recruitment, slotting everyone neatly and interchangeably into one of three archetypes. No more arguments over whether a group really needed to wait for a Warrior or whether the Shadowknight currently LFG mightn't do just as well. No more maverick Enchanters insisting they could tank. No more main-healing Necromancers. No more conversation. The games began to choose the teams and deliver them seamlessly to the content as if by magic - and yet very much not. The whole enterprise began to feel less like setting out on a magical, potentially life-threatening adventure and more like going to Ikea for a wardrobe. Crowd control as we once knew it was just one of the casualties. With only three set roles to fill, tanking, healing and damage, everything else - and there had been a lot that fitted none of those slots - became at best an added bonus, at worst an increasingly distant memory. Curiously, when Guild Wars 2 arrived, threatening to "break the mold", determined to have nothing to do with any Trinity, holy or otherwise, the perceived impression was one of utter chaos. 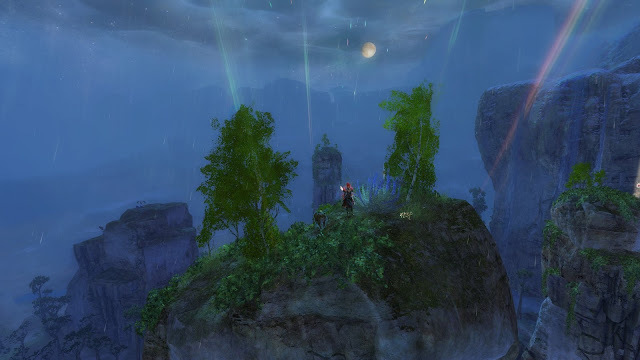 GW2 gameplay gained a reputation for skilless zerging above ground and anarchic nihilism in dungeons. Players who stuck with it developed strategies to make things manageable and in time those strategies themselves became a problem to be solved. The developers re-tooled the game to bring what they called "Crowd Control" back to the fore but sadly it was a form of CC no EverQuest Enchanter would recognize. CCs in the modern parlance are nothing of the kind. They are what we would, back in the day, have called "debuffs". Debuffing was itself an honorable and necessary role but no-one ever mistook it for Crowd Control. Worse, the main function of the debuffs in GW2 is to degrade a "break bar". The actual effect each condition has on a mob is secondary; pushing down that bar so that everyone can pile on the DPS is all that matters. It's still not simple though. Nor simplistic. Watch groups and zergs fail to apply those new CCs. Hear exasperated players try to explain what's needed and be amazed at how many fail to grasp the principles let alone manage to execute them. You'd be surprised where people can find complexity. Meanwhile, in raids in MMOs everywhere, the innovation and improvisation of the past is replaced by the arguably more tasking requirement to execute dance steps of ever-increasing difficulty. Flawlessly. Seamlessly. Synchronously. While not dying in a fire. The new model pleases many but it doesn't please me. Well, that's not entirely true. I do like the convenience. Who wouldn't? But it's a lot to give up just for a comfortable bus ride with your headphones on, not having to talk to anybody. It must be why I play so much more PvP these days. PvP, particularly large-scale realm versus realm, is perhaps the last bastion of the kind of off-the-cuff, let's do the show right here, come as you are gameplay that used to get me killed when it didn't make me high. Yes, there's a meta. Yes, there's voice chat. Yes there are know-it-alls and bullies and bad language. But there's creativity and freedom and a place for anyone who wants to make a place for themselves. And there's even crowd control, despite no spells or abilities lasting more than a few seconds, because, when you're fighting an intelligence that's not artificial, two seconds of immobility can be a death sentence. It's not ideal. But it's something. I seem to have a million things to do at the moment, most of them things I'd rather not be doing, which makes blogging something of a challenge. It's tough enough finding the time to play the MMOs let alone write about them. Typically, Daybreak decided my busy period would be a great moment to drop a five-day double xp "weekend". And as if that wasn't enough, they make it open to everyone - no membership required - and run it in both EQ and EQ2 at the same time. They never play this card when I have a week off work and nothing particular to do. I should send them my diary. Anyway, enough with the moaning. 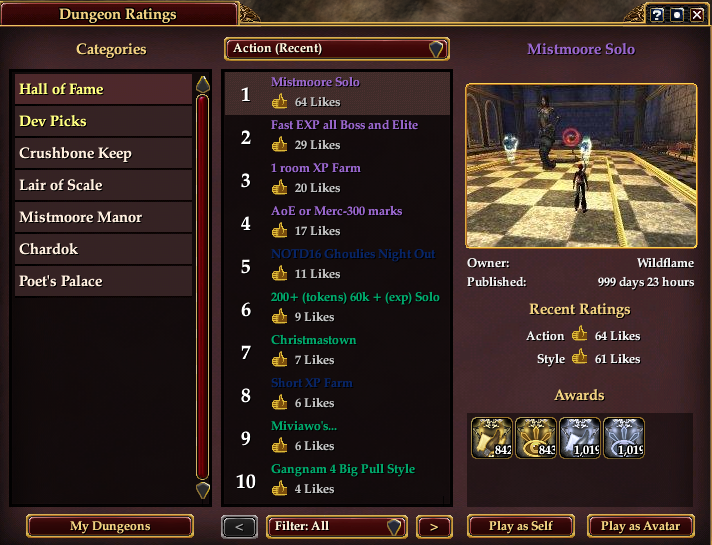 In EQ2, on the account I currently have subbed to All Access, I have three Level 100s, the current cap. Only one of those, the Berserker, got there the hard way. The Inquisitor and The Necromancer were beneficiaries of free level 100 boosts. My Warlock also got a leg-up but in his case it stranded him at 95. He's been laboriously grinding his way through those last five levels for what seems like years now...mostly because it has been years. Not years of gameplay, obviously. Even I don't level that slowly. No, years of getting the odd session in here and there, whenever a double XP weekend happens to co-incide with... well, with not much else going on. When SOE made the peculiar and short-lived decision to increase the level cap in increments of less than five levels at a time, going from 90 to 92 and then from 92 to 95, if I recall correctly, they also chose to extend the expected leveling curve to make each level seem like a lot more than just the one. They also added Prestige Points at the end of every 20% of the level so that you get what sounds and feels like a "Ding!" five times before the number next to your characters name rolls over. Maybe they thought that without that kind of encouragement people would just give up. They needn't have worried. EverQuesters are too stubborn to know when to stop. Playing today, I had full vitality (+100% xp), Veteran Bonus (+20% for each max level character on the account, total 60%), Server Bonus (+100% for the XP Weekend) and I was running a Veteran's XP Potion for an additional 110%. Grand total +370% XP bonus. I think there may have been an item bonus in there somewhere, too. With that much of a following wind it still took me an hour and forty five minutes to do the second half of level 98. Just imagine what the flat xp rate would be. No, don't. I chose to do it as though I was playing normally. I did a daily solo dungeon quest, two weekly solo overland quests and a chunk of the main solo storyline from 2014's Altar of Malice expansion. It was a fun session. It might have been faster to chronomentor and run laps round Chelsith or clear Sebilis for the hundredth time but the AoM zones are gorgeous; all open sea, blue skies and lush, tropical islands. I'd rather be there than a dank dungeon any day. The rewards are worthwhile, too. Everything's an upgrade, although the significance of that diminishes almost to nothing when you realize that in just one more level you'll be 100 and able to equip gear that's literally orders of magnitude more powerful...then in a couple of months the next expansion will arrive, bringing entry-level gear to make most current best-in-slot items redundant. So it goes. Fortunately, there are other rewards that don't date. Some superb housing items for a start and, if you make it all the way to the end, a Pteranodon flying mount. My Warlock is close to getting his Anchor of Wanderer's Dock, which is one of the most useful items I have ever had in any MMO. It's a no-cooldown, unlimited use clicky that teleports to you to the eponymous dock, next to which stand a banker, a broker and a crafting vendor. Better yet, there's a World Bell there. It's like an infinite transport system and utility center in your pocket. My Berserker has used his several times every session since the day he got it and the Warlock can't wait to have one of his own. It is entirely worth doing the questline up to that point just to get one. There are always benefits you don't get for just taking the easy road. One more level to go, then. Might finish it this weekend. As for EverQuest, where my Magician is currently beached in the low 90s, I think that's going to be too big an ask. One does not merely log in to EQ and level up. I don't think I have the time (or stamina) for the prep, let alone the fights.